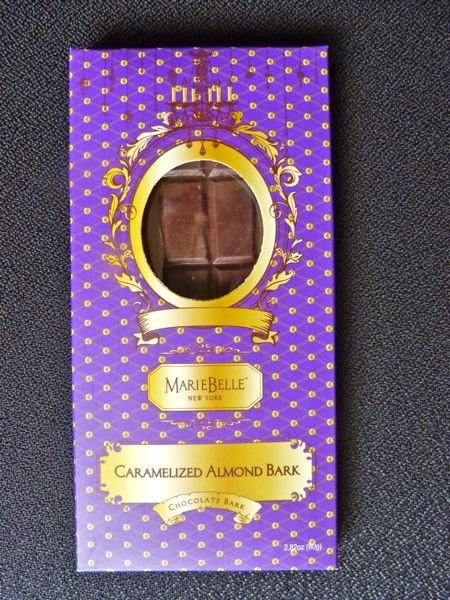 Today was the last day (Day #7) of Chocolate, Brittle and Bark Theme Week. 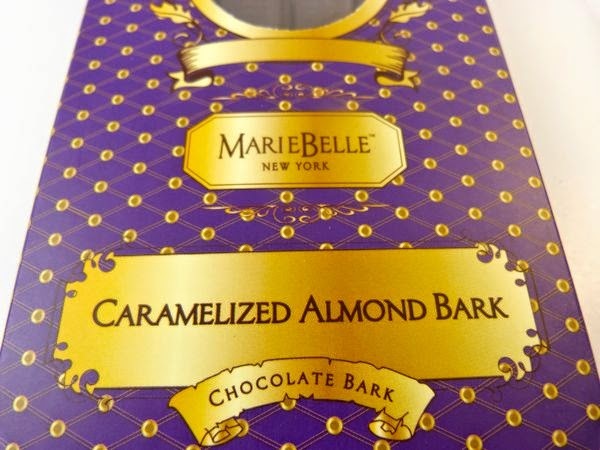 Thank you to Elana for this gift -- a Caramelized Almond Bar chocolate bar from MarieBelle New York (NYC, NY). This bar conjured up very fond memories of the cozy and beautiful MarieBelle retail space in SoHo. I spent at least one hour there during a trip to Manhattan a few years ago. Bought some chocolate tea too as I recall. It was equal parts creative, relaxing and invigorating. 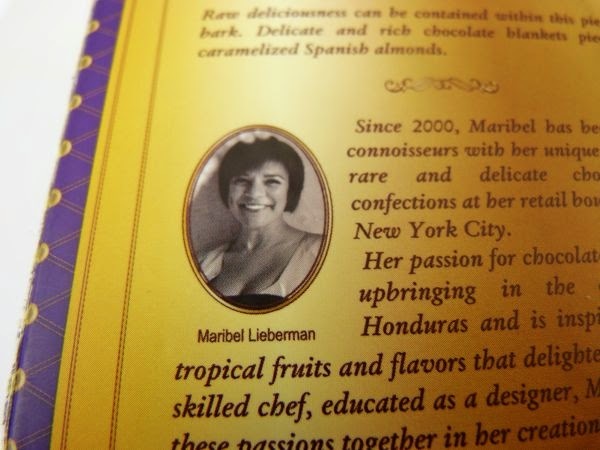 Once again, food, place and time has colored my food (and chocolate) memories. 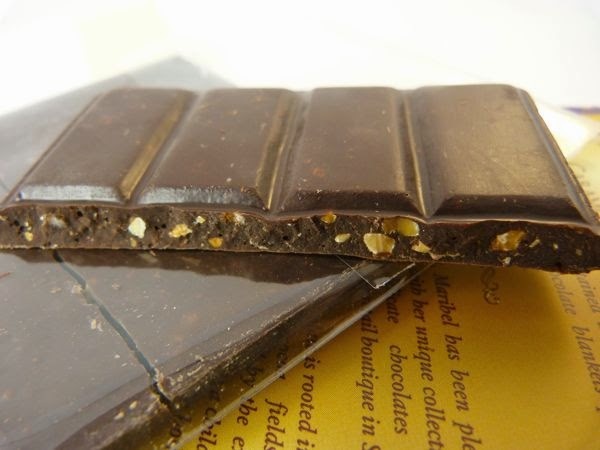 Fair trade chocolate enveloped bits of caramelized Spanish almonds to make a smooth, sweet chocolate bark bar.